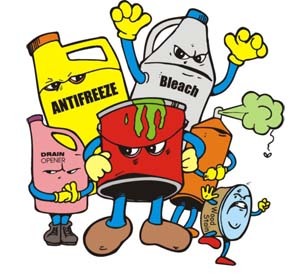 Hazardous waste includes any unused product that is poisonous, reactive, corrosive, or flammable. You can easily identify hazardous products by reading packaging labels: look for key words such as Warning! Danger! Poison! Caution! Improper disposal of these products poses a risk to human health and the environment. 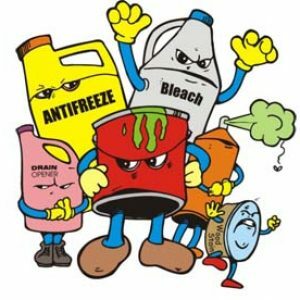 Below is a partial listing of common household hazardous waste. Dispose of these items at one of the household hazardous waste collection events. * Alkaline household batteries no longer contain the heavy metals they once did, so you may now throw them away with your household trash. Businesses are encouraged to reach out to the State of Vermont Environmental Assistance Division for assistance in managing hazardous waste. The number is 800-974-9559.